At the heart of our strategy for seeing Pentecostal revival come to the continent of Africa is intercessory prayer. 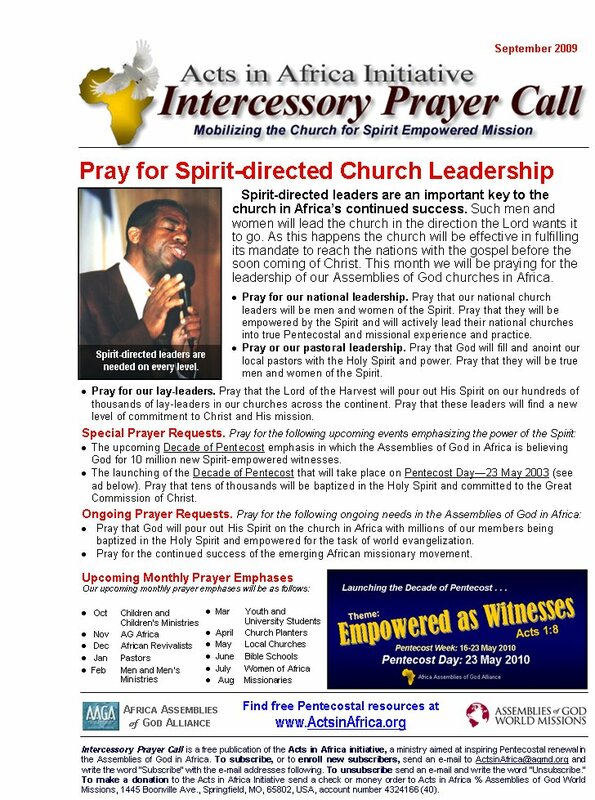 Through the “Intercessory Prayer Call” newsletter we are seeking to mobilize an army of intercessors who will call on God to pour out His Spirit on the continent of Africa as never before, and that He will raise up a great army of last-days African missionaries who will take the gospel to the yet-to-be-reached tribes of Africa and the nations of the world in Pentecostal power. If you would like to subscribe to the “Intercessory Prayer Call” click this link: Subscribe.